Vinification and and Maturation : Parcels of Sauvignon Blanc grapes were harvested in the cool of the early moming and delivered direct to the winery. The grapes were gently cmshed into drainers allowing the best free-run juice to be separated from the grapes. Once settled, the wine was fermented in stainless steel tanks. Once fermentation was complete, the wine was stirred on lees for six to eight weeks to enhance richness and weight.The wine was then blended and lined before bottling. Aroma : Fresh passlonfrult and tropical notes of pineap-ple are balanced with grassy and herbal characters. 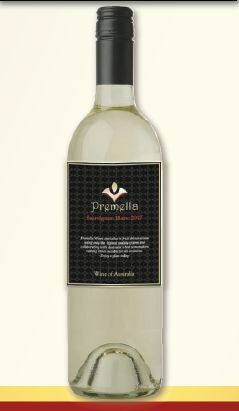 Palate : A frult driven style, with a fresh and clean palate with good fruit intensity. The wine is helped by good acidity, providing excellent length and structure. The passionfruit and tropicalfruit flavours follow through from the nose to the palate with nuances of tomato vine and freshly cut grass In the mix also. A small amount of resid ual sugar helps to provide weight and balance to this easy drinking wine style.